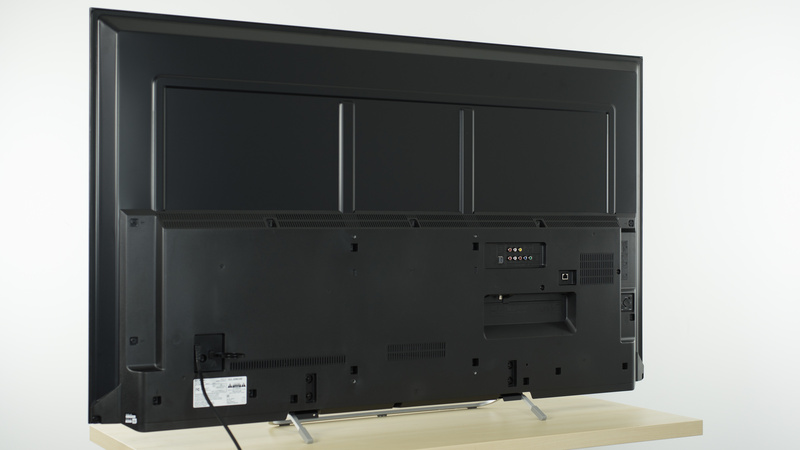 The 1080p Sony KDL60W630B/2 TV is a remake of a popular 2014 model with the same name. 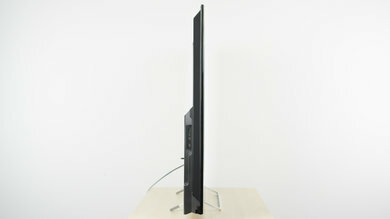 It is a budget TV with average picture quality, lacking many of the features found in higher end TVs. Despite the low price, it has excellent motion performance and input lag. 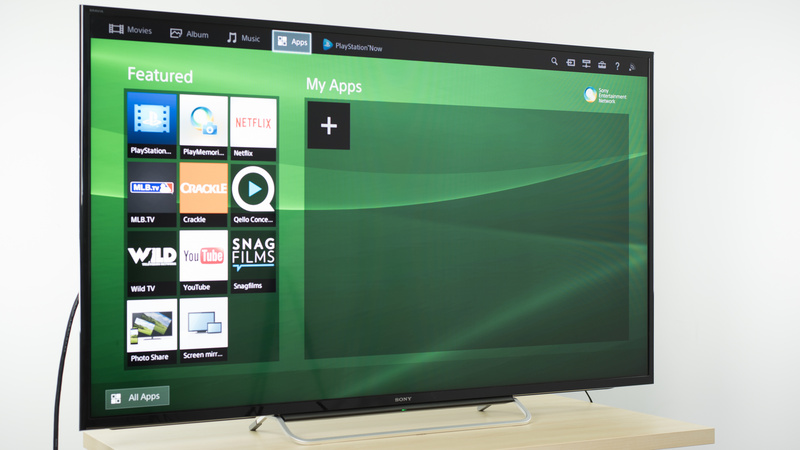 Style is very similar to other 2014/2015 Sony TVs such as the W800C and the X850C. From the front it looks minimal and sleek. The back is designed for function rather than appearance and won't turn any heads. 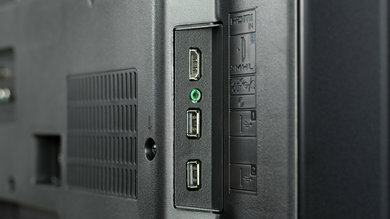 Small, sleek stand similar in design to the Sony W800C. Feels sturdy with a small footprint. Footprint of the 60" TV stand: 22.8" x 8.9"
When wall mounted, the component and composite inputs may be difficult to access. The simple plastic border looks quite good. The TV is thicker than average due to the wide bottom half. Picture quality is average on the Sony W630B, but mainly because it lacks 4k. The contrast ratio and black uniformity are good and would be a good fit even for a dark room. 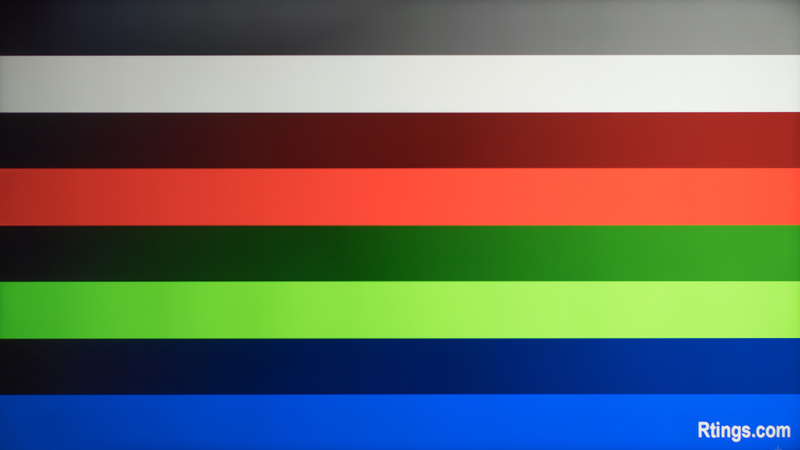 The color gradient is also very good, and should provide viewing without color banding. 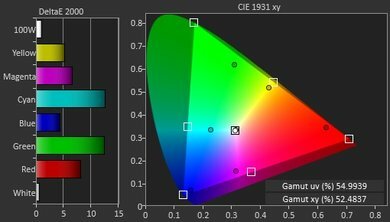 On the downside, the color gamut coverage is not so wide, the peak brightness is not so bright and it does not support any HDR format, meaning that the W630B is limited in what it can do. The picture quality also degrades when viewed at an angle. The contrast ratio of the W630B is pretty good. Black looks deep enough to provide a good experience in a dark environment. 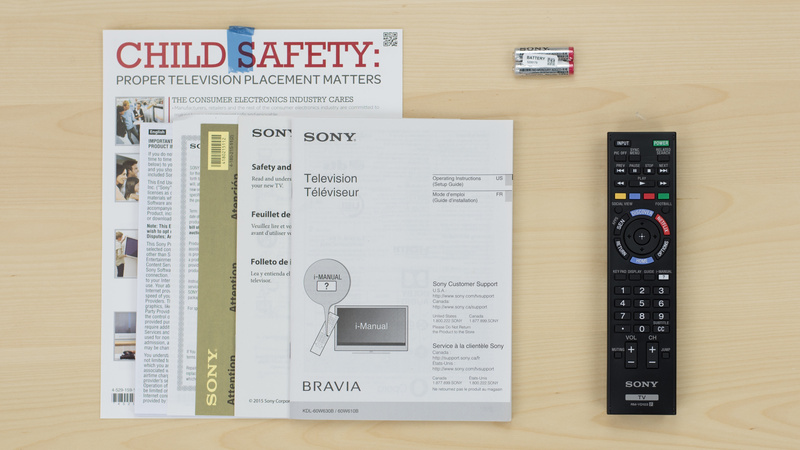 The Sony W630B does not have any local dimming option. Video for reference only. 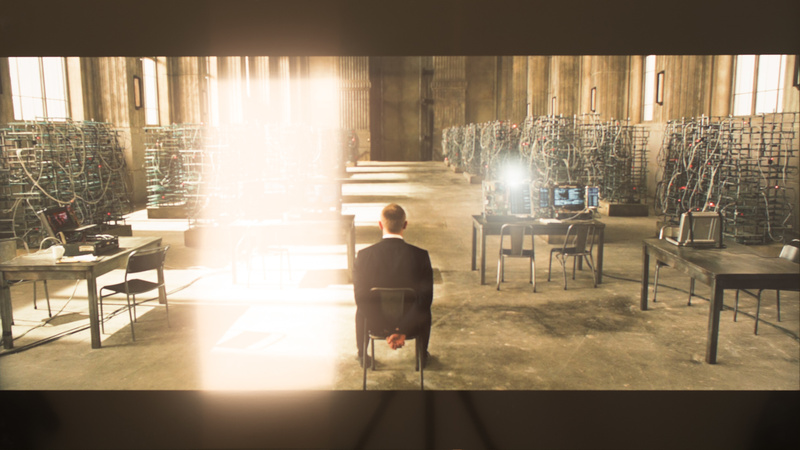 What it is: The maximum luminosity the TV can obtain while playing a movie or while watching a TV show. 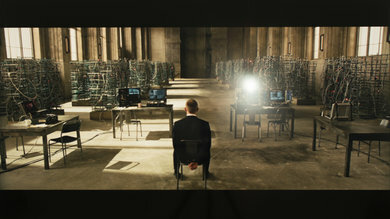 This scene was selected to represent a more regular movie condition. 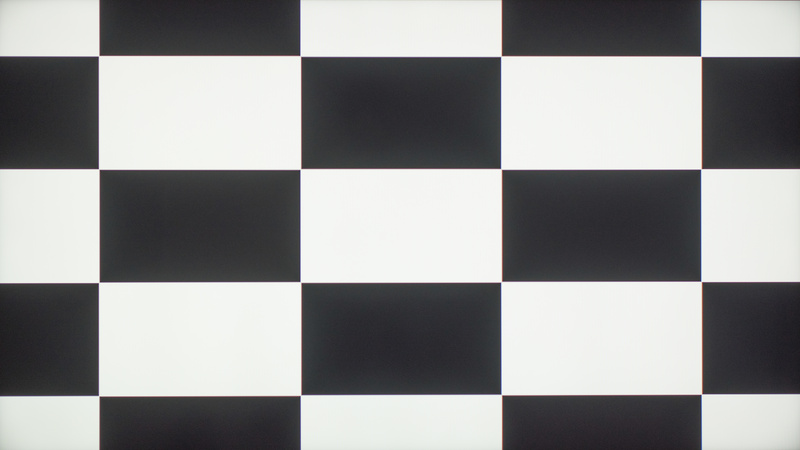 All measurement are made with the TV set to be as bright as possible, but with a 6500k white. Measured with local dimming, max backlight and over SDR signal. Scene: here. 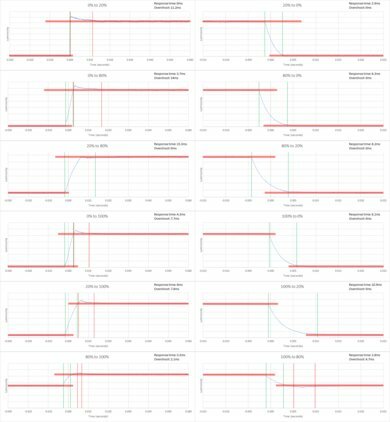 When it matters: When watching movies or watching TV show in SDR. When it matters: Bright objects, present on screen for a short time; especially for SDR content. 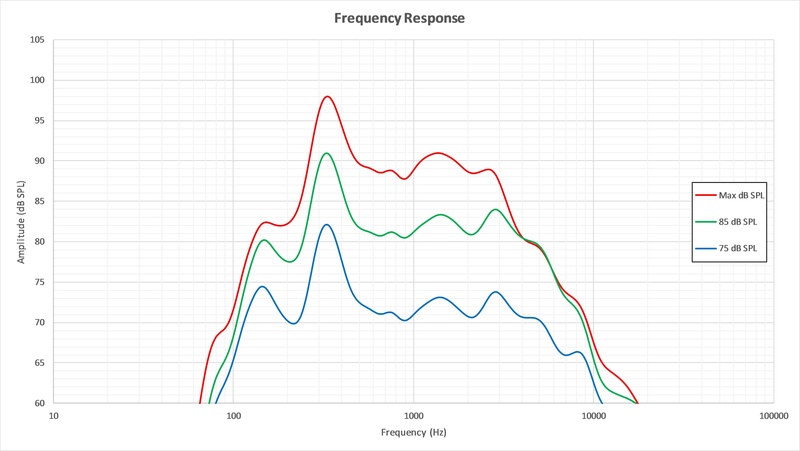 When it matters: Bright rooms; bright objects in SDR video. When it matters: Bright highlights, persistent throughout a scene; especially for SDR content. 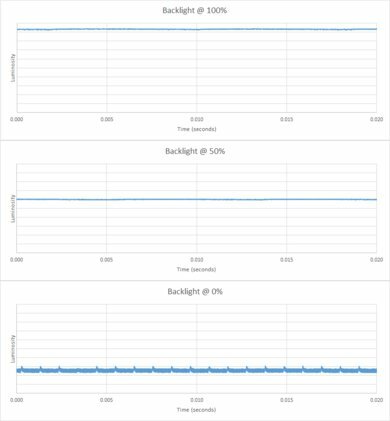 Peak brightness is average for the KDL60W630B. At 273 cd/m², is it not the worst, but it is far from the best we have seen. 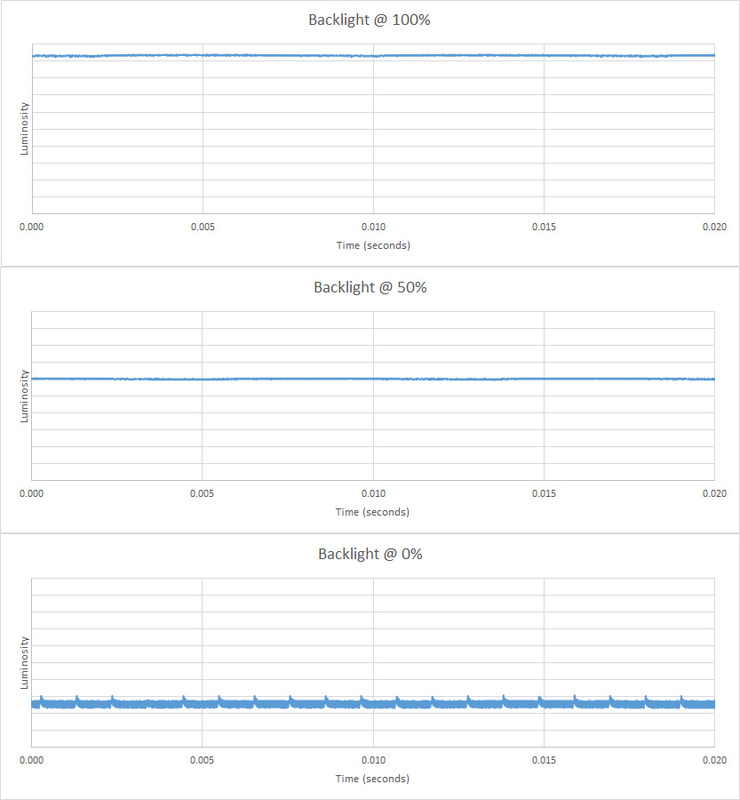 The only one advantage here is that the brightness remains the same no matter how large the white window is and also it does not vary over time when a static image is displayed. This TV does not support HDR. Gray uniformity is average. 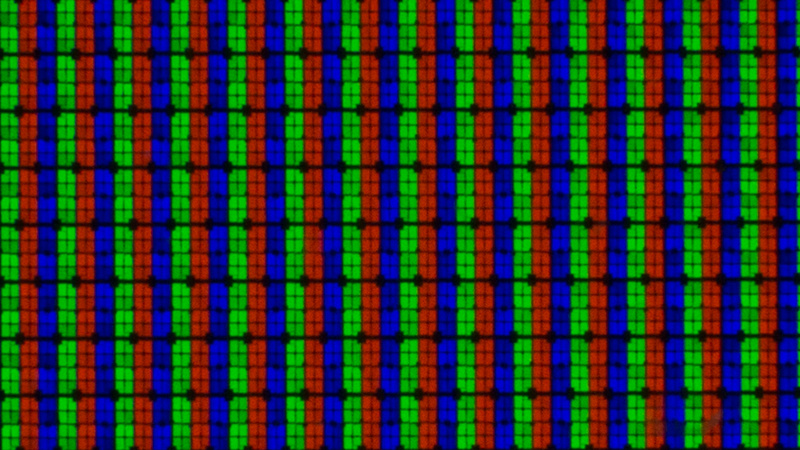 You can see some vertical bands from the backlight. 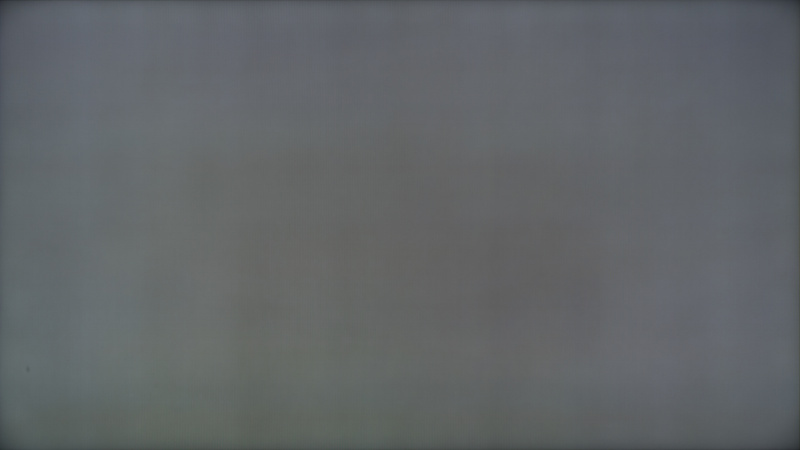 Dirty screen might be seen when watching sport or any other content where large panning shots over a uniform surface are present on screen. 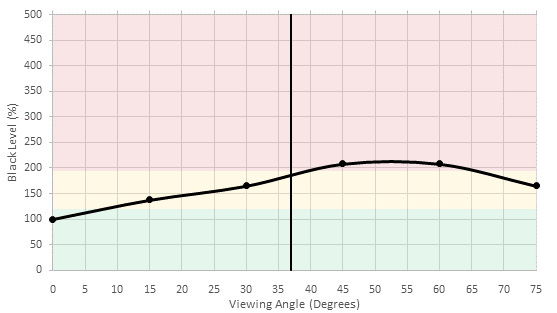 The viewing angle is below average, but it is better than most of the Sony TVs with the same kind of panel. 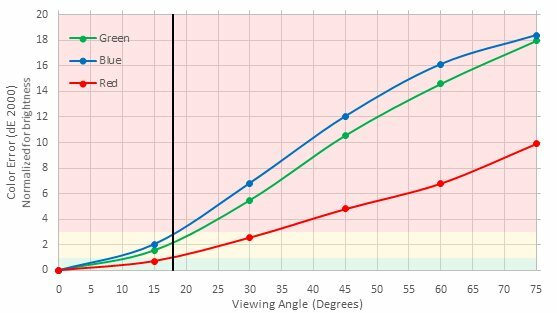 When compared, it is better than the high end X930D that got a viewing angle of only 16°. Any IPS or OLED TV would be an improvement. Black uniformity is also very good. It is not as perfect as OLED TV are, but for an LCD TV is very acceptable. On the test picture you may see some faint clouding but you should not notice any clouding watching normal content. The color gradient of the W630B is very good without any particular banding in any shade. Note that when looking at the picture you can see some banding, but it is cause by Moiré when the picture was taken and not because of banding issues in the gradient. 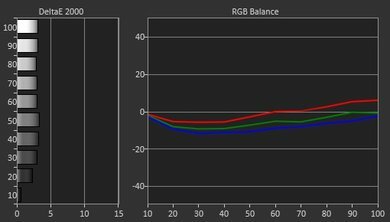 Before calibration, the W630B was not bad at all. 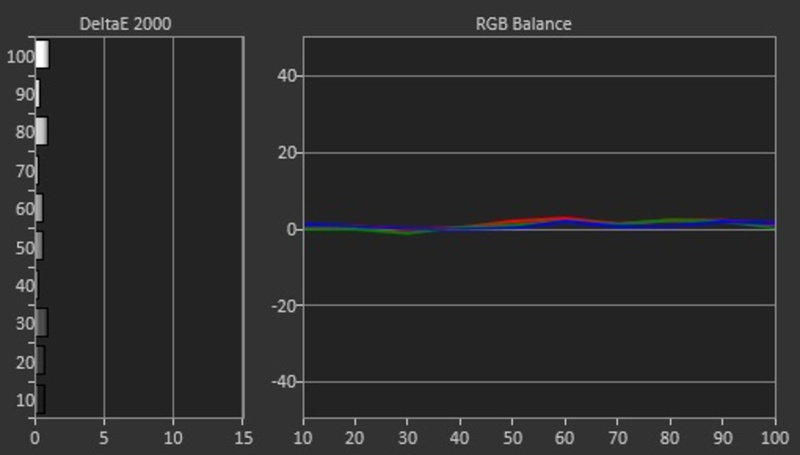 The white balance is just a bit off and the gamma is just a a little high. But the total deviation is really low and normal customer could enjoy it "as is" without noticing anything wrong. 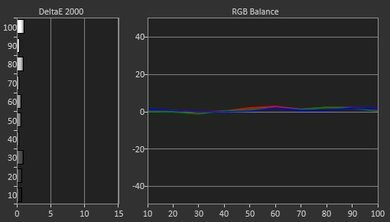 After calibration, which was done very easily, since there is just a 2 point correction, the white balance and gamma curve are almost spot on. You can see our calibration settings here. 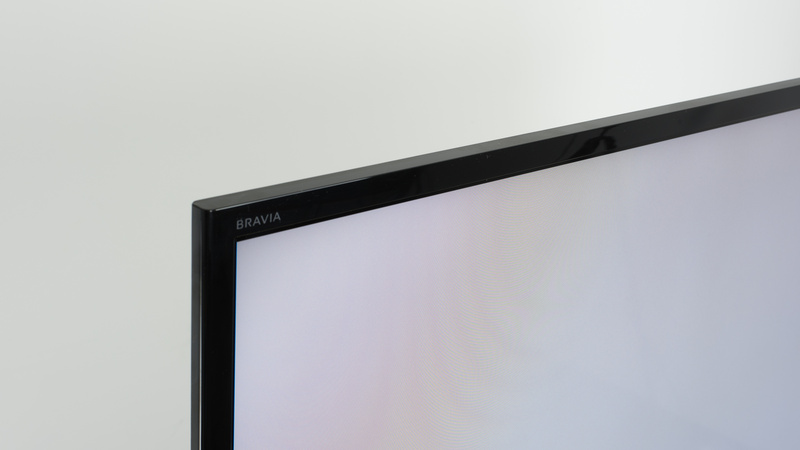 The 480p upscaling perform slightly worse than what we usually see with Sony TVs. On the test picture, little details like waves on the water or leafs on the bush look less defined and edges look a bit softer too. 720p content like cable TV looks good once upscaled and the details are well kept. The 1080p native resolution looks good on the W630B. The picture is sharp and clean. 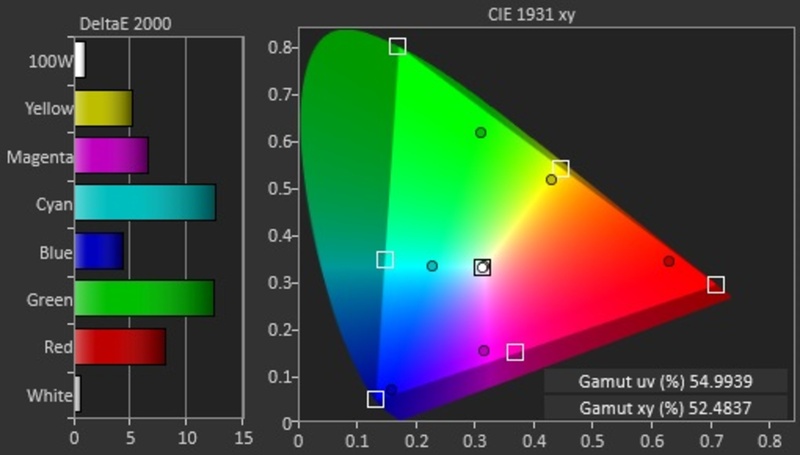 Does not support a wide color gamut. Color space is only enough for Rec. 709 content. No image retention could be notice on the Sony W630B. This is in line with most other VA TVs that we have tested this far. This is a very good result and this will please gamers an PC user. Reflections are diffused to some extent, but still may present an issue in a very bright room. What it is: Feature that converts 2D content to 3D. When it matters: If you want to watch 2D content in 3D. 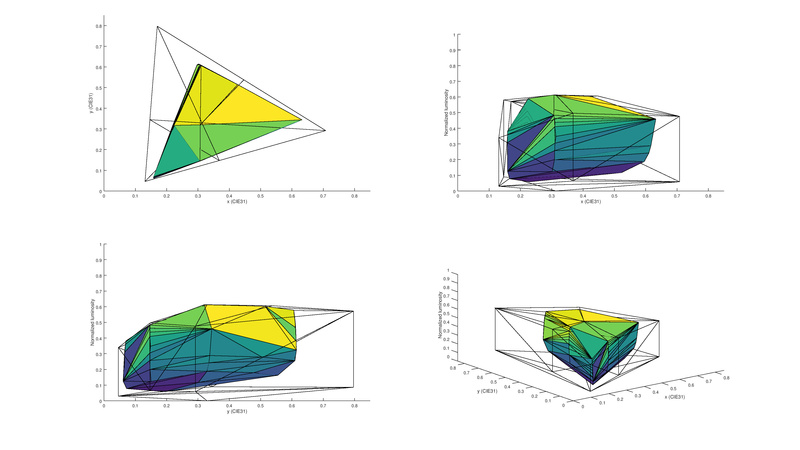 Note that the quality is not as good as that of native 3D. There is no 3D option on the Sony KDL60W630B. 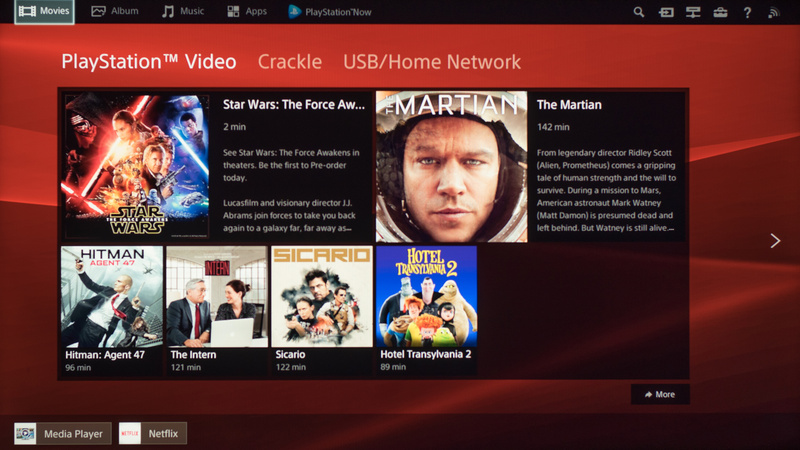 The Sony KDL60W630B is very good TV when it comes to fast moving content. The motion blur is minimal and the TV can interpolate 30fps and 60fps up to 120fps without any problem. Movies playing from any source appear smooth. Very little motion blur on this TV, due to pixel 'overdrive'. Short response time, with some overshoot. Overall a very good result. 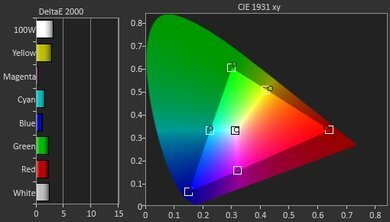 The backlight by default doesn't strobe, but it is possible to achieve this by adjusting 'MotionFlow'. The Sony KDL60W630B does play 24p content like movies from DVD, Blu-rays and from online streaming service without judder. 60p and 60i content can also be played without judder. To achieve this, you need to set the 'Motionflow' option to 'True Cinema'. 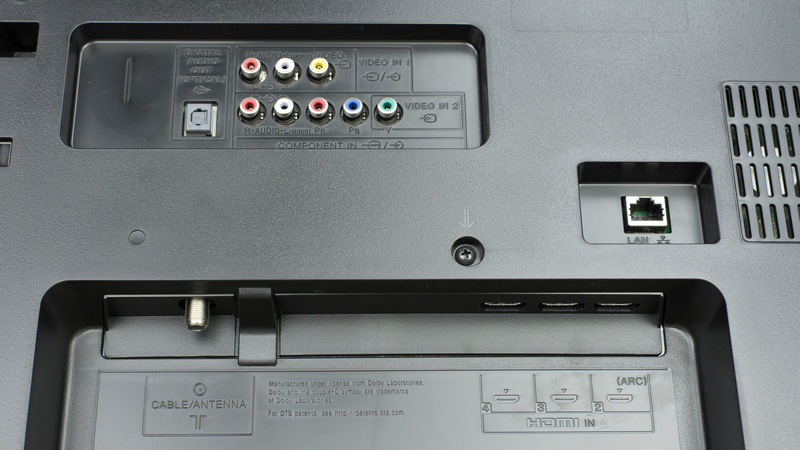 The Sony W630B features a 120Hz panel which can interpolate 30fps and 60fps content. To do so without backlight flicker, change the 'MotionFlow' setting to 'Standard' or 'Smooth'. The Sony W630B is a 1080p TV, and so doesn't support any higher resolutions. But, for someone who doesn't need 4k this TV offers reasonable input options. The input lag is also low which is great. 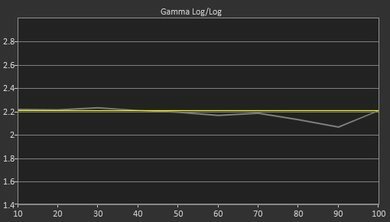 Input lag is very good for the KDL60W630B. 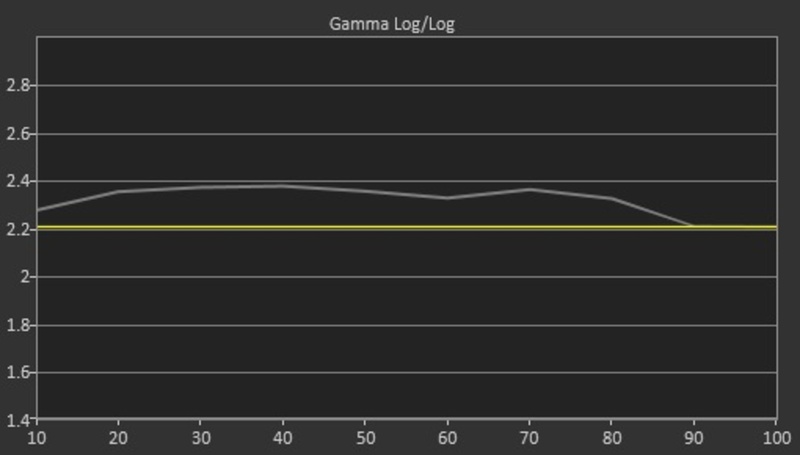 With game mode selected, the input lag was only 23.6 ms. Avid players will be pleased with this TV. 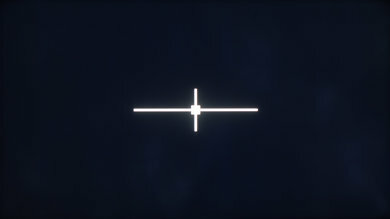 For Chroma 4:4:4 support, set 'Scene' to 'Graphics' or 'Game'. 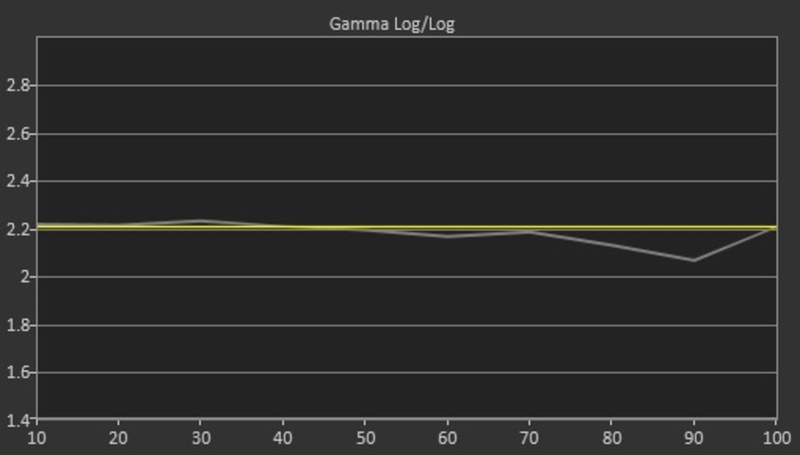 When in 'Graphic' mode, the input lag is only 24.6ms. The sound quality of the Sony KDL60W630B is poor and will not impress any audiophile out there. Even a cheap sound bar would be an upgrade compared to the internal speakers. Poor overall performance. 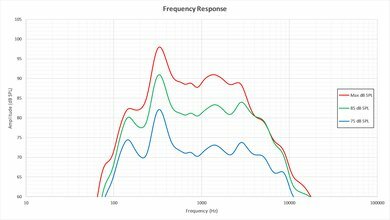 Frequency response and low-end cutoff are quite poor, even for a TV. Maximum volume is decent, but the TV doesn't get too loud. 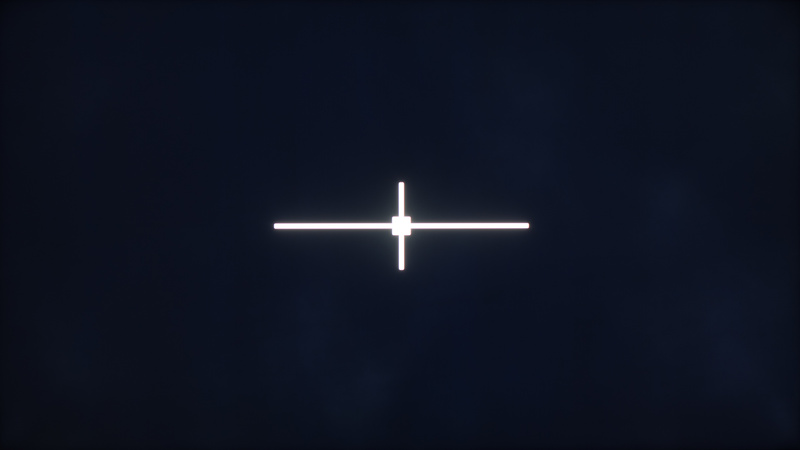 Poor distortion performance. 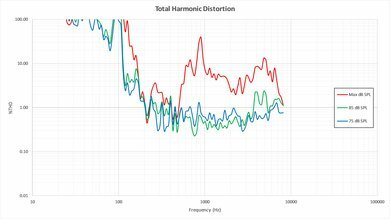 The overall amount of harmonic distortion is decent at 75 and 85dB SPL. 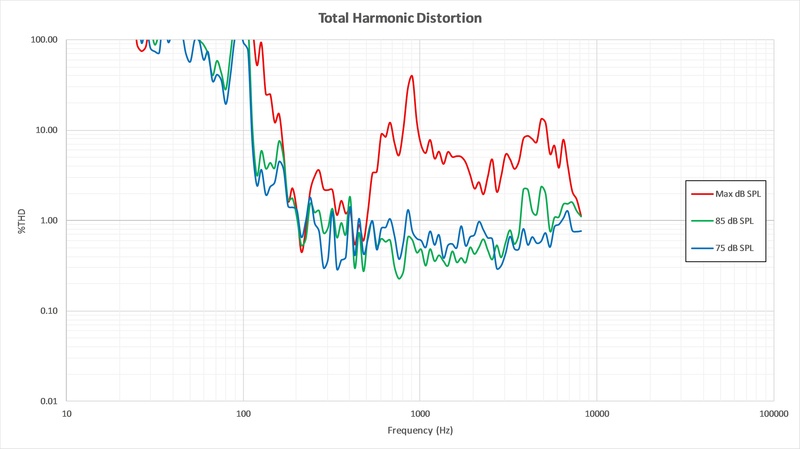 However, at maximum volume, there's quite a big jump in harmonic distortion, which seems to be typical of most Sony TVs. The KDL60W630B features a modified Android platform. 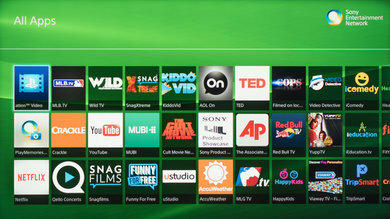 It has some extra features, such as PlayStation Now which allows PS3 games to be streamed to the TV. There are a wide variety of apps, but the interface feels slow and is not as refined as competitors such as LG's WebOS. After turning on the TV, it is necessary to wait before loading the smart OS. 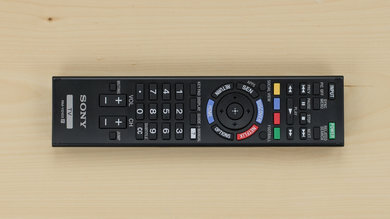 It comes pre loaded with Netflix, including a dedicated button on the remote. Even if the smart interface is pretty simple, there is a large offering of apps and games that should satisfy most people out there. All the major apps like Netflix, YouTube, MLB.TV and other are there. There is also Sony PlayStation network on top of that. The controls are located behind the left side of the TV. 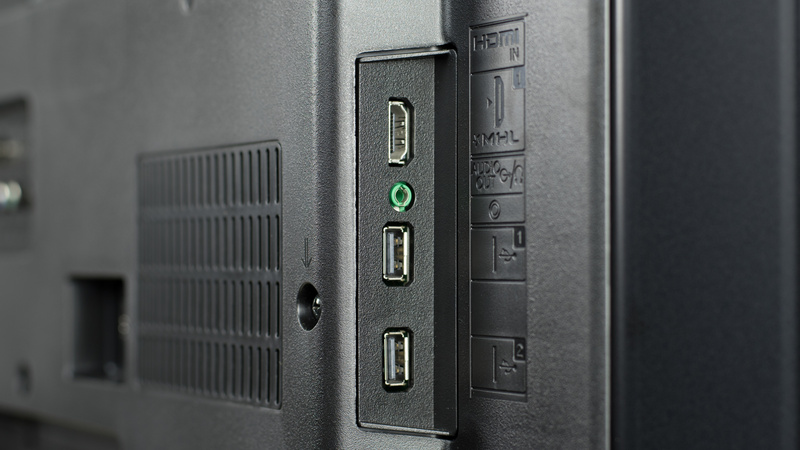 They may be difficult to access if the TV is against a wall. Includes a basic remote, with the same familiar layout as other Sony TVs. 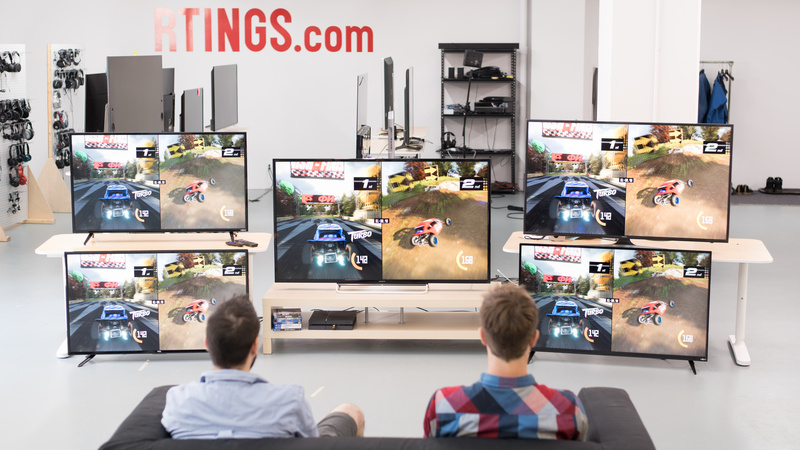 We tested the 60" (KDL60W630B), the only size available at the moment. If someone comes across a different type of panel or if their Sony KDL60W630B doesn't correspond to our review, let us know and we will update the review. Top left: Vizio E Series 1080p 2016 (E48-D0). Bottom left: TCL FS3750 (48FS3750). 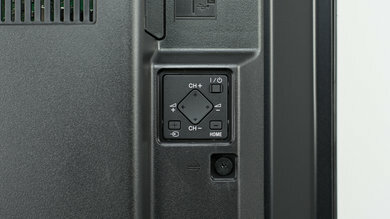 Middle: Sony W630B (KDL60W630B). 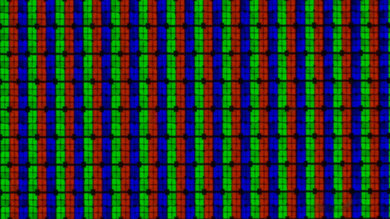 Top right: Samsung KU6300 (UN55KU6300). Bottom right: Vizio D Series 1080p 2016 (D50-D1). Unlike our other photographs, this picture wasn't taken under a controlled environment, so do not draw conclusions from it. 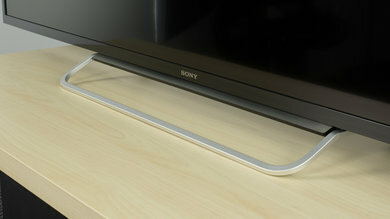 The Sony W630B is a low-end TV, offering an average picture quality. 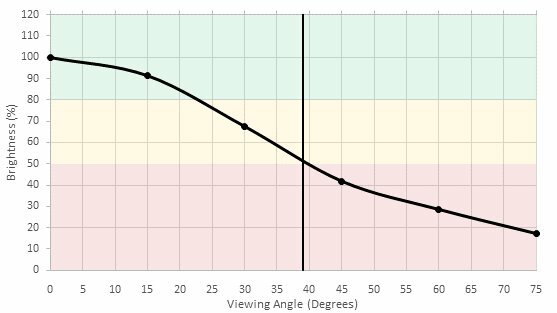 For those looking for a 1080p TV on a tight budget it shouldn't disappoint, but spending a bit more money does provide a proportional increase in picture quality. Keep that in mind when reading our recommendations below. Slightly above average TV for a range of usages. Average picture quality, which degrades when viewed at an angle. Very little motion blur so good for sports. Due to the low pixel density, it is better suited for viewing from further away. 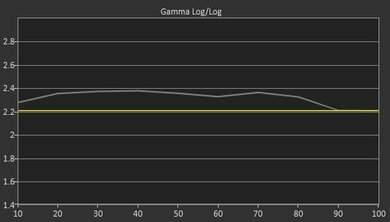 Average for movies in a dark room. Picture quality is average, but lacks features such as local dimming. Can play all movie sources smoothly. Slightly above average for watching TV in a bright room. Whole screen maintains same level of brightness which is good. Picture quality is average but degrades from the side. Smart platform is good for casual watching. Good TV for sports. Plays 1080p sources at native resolution. Excellent motion handling. 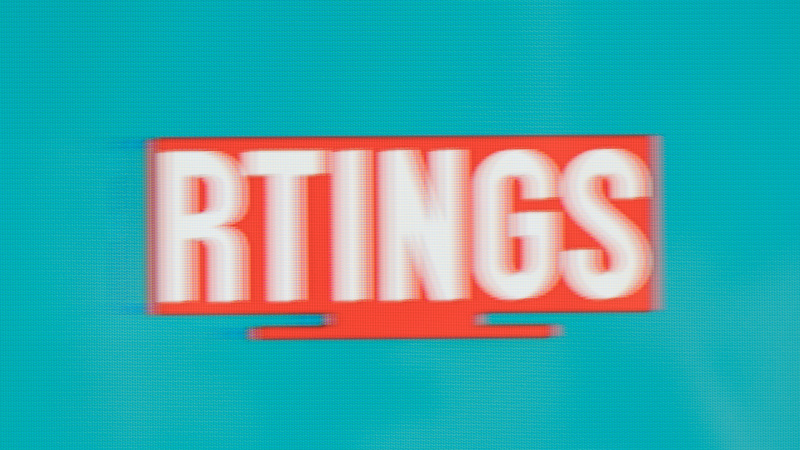 Very little motion blur. 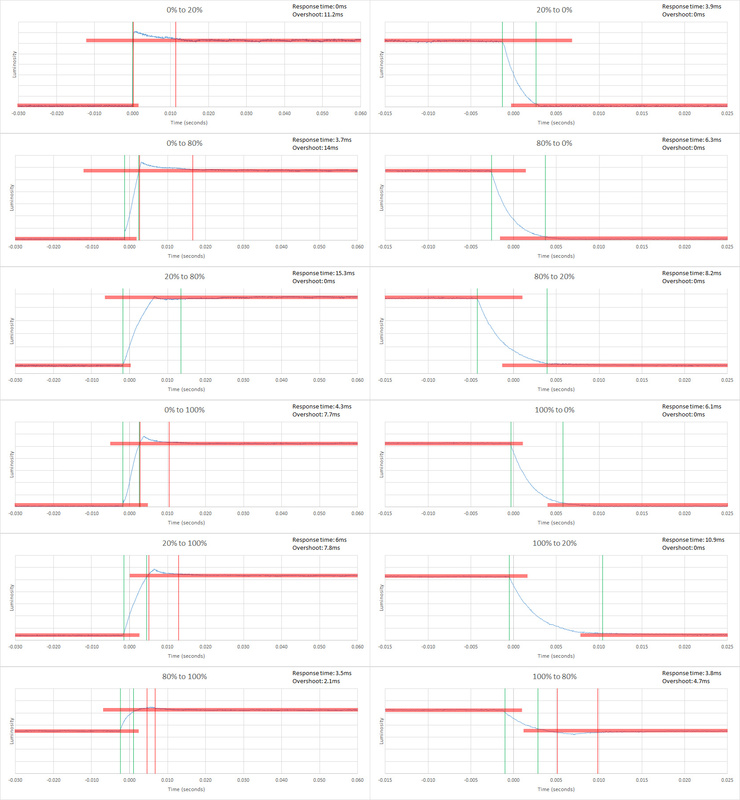 Can interpolate content to 120fps for those who prefer smooth motion. Picture quality is average. Very good for gamers.  Fast paced motion is displayed very well, with little blur. Input lag is low, which is great even for the more avid gamers. Picture quality is average. Doesn't support HDR from any source. Can't achieve bright highlights or more vivid colors. Average PC monitor. Displays text clearly with chroma support. Doesn't accept 120Hz input and is only 1080p TV. Input lag is low which is great. Fast motion is handled very well.